With the historic success of Baahubali The Beginning, star Telugu writer Vijayendra Prasad became a popular name across the country. In his latest interview to a leading English news daily, Vijayendra Prasad revealed several interesting tidbits about the film. 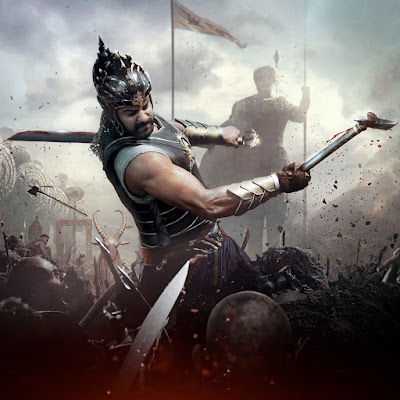 The senior writer said that Baahubali has a deep Mahabharata connect as all the film’s lead characters were inspired from the epic Mahabharata. If Bhishma inspired Kattappa’s character, Sivagami’s character had shades of Kaikeyi, Gandhari and Kunti. Furthermore, Bijjaladeva’s character was derived from Sakuni and Bhallaladeva’s character had its inspirations from Dhuryodhana, while Baahubali is a reflection of Arjuna and Rama’s characters. Interestingly, the veteran writer also hinted that Kattappa may not have killed Baahubali, leaving everyone even more excited.